Gabe Newell learned everything he knows about business from his very first employer, Bill Gates. The co-founder and managing director of video game development with Valve Corporation, Gabe shares one thing in common with his former employer, they both dropped out of Harvard University. After having worked for Microsoft for 13 years and dubbing himself a “Microsoft Millionaire”, Gabe left to start the Valve Corporation in 1996. Through the development of the game Half Life, Gabe and Mike Harrington were able to use the money they made with Microsoft to fund Valve. During the production of Half Life 2, he spent the majority of his time focusing on the Steam project. It was a project that in December of 2010 provided him with the honor of having Forbes name him “A Name You Should Know”. His wealth began to increase substantially after this. In 2012 alone, Gabe Newell’s net worth was said to be estimated at $1.5 billion. Gabe is married to Lisa Mennet and together they have two sons. He also suffered from Fuch’s dystopy, which is a congenital disease that affects the cornea of the eye. However, after two successful transplants in 2006 an in 2007 he was fully cured. Gabe’s favorite video games are Super Mario 64, Star Trek and Doom. The game of Doom convinced him that video games were where the future of entertainment was and Super Mario 64 convinced him that video games were truly an art form. Throughout the years, he has become somewhat of a talent scout. Valve is a company that pays close attention to what their consumers are saying. In addition, because of community support he has discovered mods and various indie games that went on to become huge successes. These games included Team Fortress, Portal, Counter-Strike and Dota 2. Gabe is considered an open and honest game community member, more so than you normally see for a company owner. In fact, he can be reached through his email and even answers the majority of them. 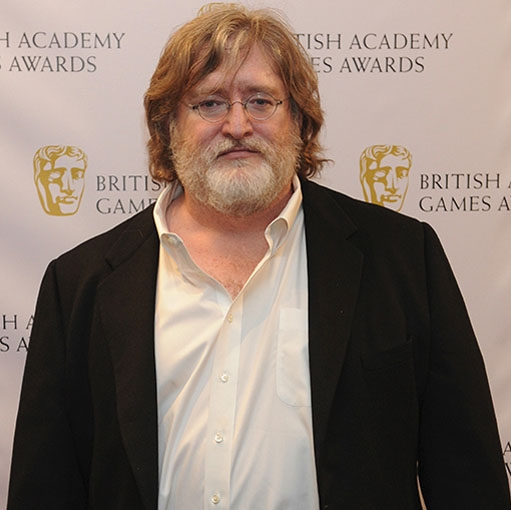 It is currently estimated that Gabe Newell’s net worth is at $2.2 billion. Steam controls 50-70% of the 4 billion market for all downloaded PC games, and is considered more profitable than Google or Apple in this venue. 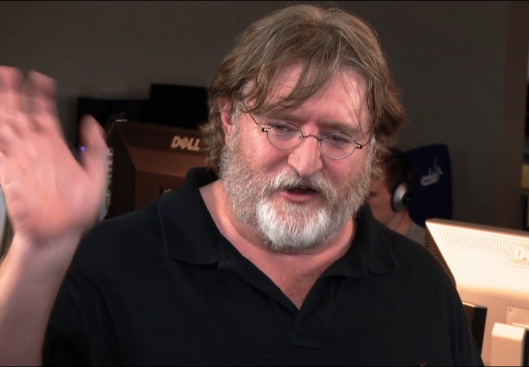 According to Forbes Magazine, which estimates Gabe Newell’s net worth, he is said to be one of the 500 richest people in the United States today. What’s in Store for Valve and Gabe? With many new updates and upgrades in store for the Valve Corporation like that of Steam Link, which allows you to stream all Steam content from any PC or Steam Machine on the same network, Gabe Newell’s net worth is said to only rise even higher in the coming future. His role as Marketing Director of Game Development has allowed him to build a trusting relationship with fans. He relies on his community support for many suggestions, ideas and feedback. He’s definitely a hands on type of owner which is probably why Gabe Newell’s net worth is still climbing.